We’ve all got friends who have changed their names, right? They drop Horace or Gladys for something a little more au courant because they want a new image. So as the Department for Culture, Media and Sport (DCMS) becomes the DDCMS with the addition of ‘Digital’, it’s worth thinking about some industry name changes. For example, the term multi-channel network (MCN), introduced more than a decade ago to describe online content makers and aggregators like Maker Studios and Machinima, has lost a lot of its shine. Many MCNs have been consolidated (Maker was purchased by Disney, for example) and some, like Base79 and Rightster, have merged. As enterprise values for these companies came under pressure, the MCN moniker became tarnished because it no longer looked an efficient business model in the fast-evolving online ecosystem. “A true MCN just aggregates views from buckets of channels and isn’t responsible for producing, uploading or curating the channel,” said Andy Taylor, co-founder of Little Dot Studios, which runs 100 YouTube channels for TV brands like ITV’s Good Morning Britain. The story behind MCN MyVideoRights is a case in point. It has had four name changes, including Base79 and Rightster, and most recently became Brave Bison. Now described as a ‘social video business’, Brave Bison partners with digital influencers to produce content that will attract audiences that brands want to be involved with, either as advertisers or sponsors. 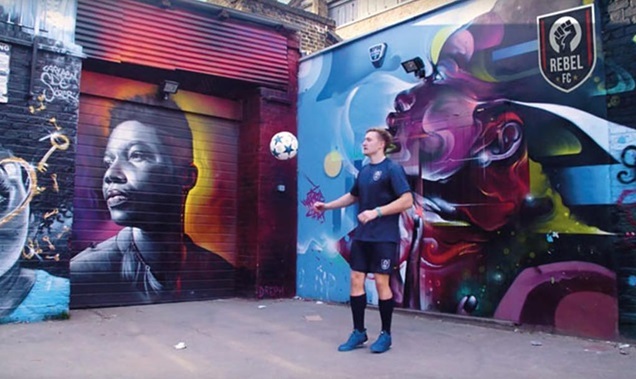 One of its newest ideas is to link up with football influencer Calfreezy (aka Callum Airey) to launch a new-fangled football club called Rebel FC. The YouTube channel hosts videos of five-aside games played by teams made up of other digital influencers. It even had ex-England captain Rio Ferdinand manage a team for a match. It’s about leveraging the “massive trust and huge followings” of these digital stars to brands, said one of Brave Bison’s advisers. But given that the share price of the AIM-listed firm has plummeted 70% in the past year, its shareholders – and ex-Warner Bros exec Claire Hungate who has just been named its new chief executive – are hoping it can come up with the right formula and that social video is the future. The exam question is how best to work with the social giants without ceding all control. For Taylor, the secret sauce is TV content curated to work on these platforms. At Little Dot’s HQ in Shoreditch, there are a multitude of YouTube channel curators and original content creators, plus half a dozen data scientists, because to succeed requires understanding content as well as the data/algorithms of the online world, said Taylor. TV content is especially strong. Taylor noted that Jeremy Kyle attracts twice the online audience of Zoella, who is considered a member of the digital influencer royalty. “The move from TV to digital means a move from limited to unlimited bandwidth, so how you get your content seen is the biggest consideration,” he said. Little Dot is in the middle of launching curated YouTube channels based around genre-specific content, like kids (Wizz) and documentaries (Real Stories). The idea is to use TV content licensed from producers and broadcasters to build audiences online and then, once that is done, to offer original content to keep them tuned in. Where have we heard that before? It sounds a lot like the basic business plans of Hulu, Amazon and Netflix.